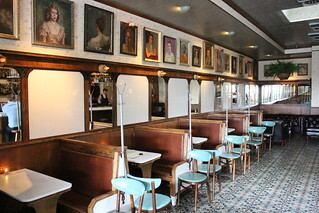 1933 Group brings black Old Hollywood glamour with Harlowe. The gorgeous space incorporates fine touches like antique tiles and a sleek wooden bar that takes center stage. 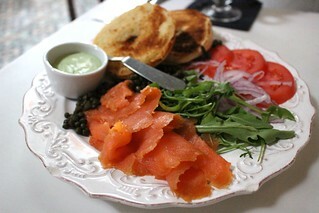 The decor is best appreciated in daylight, and now you can do just that with their brunch hours. 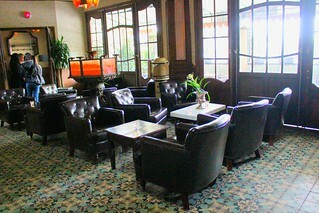 The bar program is the main draw here, so naturally brunch will be a boozy brunch with specialty cocktails ($14 each). They had brought in mixologist Dushan Zaric (from NYC's Employees Only) to design the opening cocktail menu and the GM Chris Amirault and other local bartenders are keeping the game up. Swap your regular cup of joe with Coffee is for Closers (Teeling's Irish whiskey, Stumptown coffee, Chartreuse whipped cream). 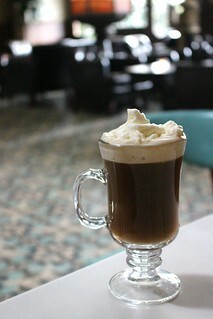 This take on Irish Coffee is lovely - not too sweet and enhanced by the chartreuse in the whipped cream. For me it was the perfect drink choice to start my morning. There's a full food menu at Harlowe. When Harlowe opened, Chef Eric Greenspan consulted on the menu, which has since been refined by chef Sam Hoke. 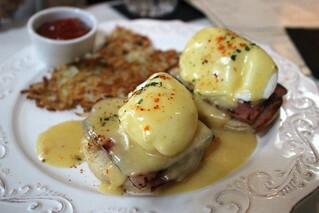 You'll find the usual brunch suspects like Eggs Benedict (brown butter hollandaise, country ham, homemade biscuit, $13). The brown butter is a nice touch that distinguishes it from the typical eggs benedict. 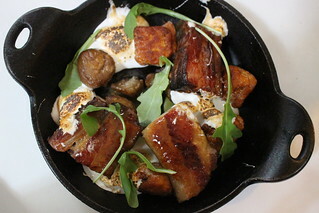 This was a fun dish, although despite the pork and gnocchi the ingredients were so sweet it almost tasted like dessert. Spicy mezcal cocktails are a dime a dozen these days but I loved this one. 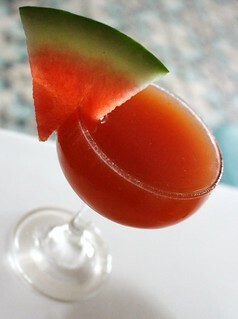 They didn't overdo the spice, instead it combines and brings out the savoriness of the ancho reyes liqueur, the artichoke notes of the cynar with tomato, while keeping it sweet and refreshing with the watermelon. 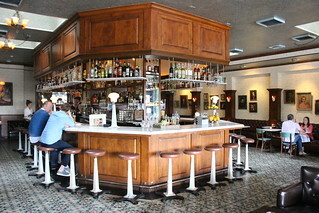 Harlowe is a first in many aspects for the 1933 Group: it was the first of their ventures with a notable food program, and at the time of its opening, I believe the best cocktail program of the group's bars (Chris Amirault is now also responsible for the cocktail program at the group's newest bar, Idle Hour). Along with the gorgeous space, Harlowe is an experience worth a visit.